Mon., Feb. 26, 2018, 8:45 a.m.
KINSHASA, Congo – Organizers of anti-government marches in Congo say security forces shot dead at least four people and wounded dozens more in Sunday’s nationwide protest against President Joseph Kabila’s extended rule. 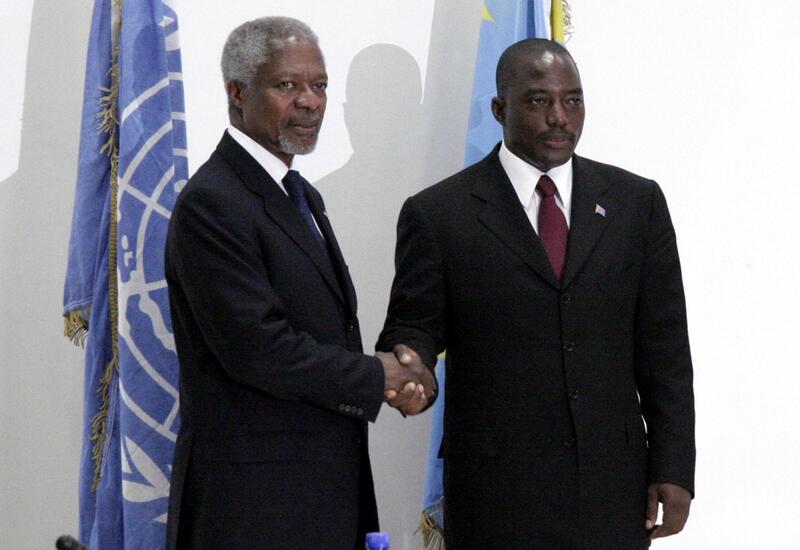 The Lay Coordination Committee on Monday announced that people were killed in Kinshasa, Mbandaka and Kisangani. Church organizations have been staging demonstrations against long-delayed elections, and the international community has criticized Congolese security forces for violent crackdowns on the protests. Kabila was meant to leave office in December 2016 but elections have been repeatedly postponed. Congo’s government now says the vote will be in December. The United Nations mission in Congo says 47 people were wounded in Sunday’s protests and more than 100 were arrested. It calls on Congolese authorities to carry out credible investigations. Published: Feb. 26, 2018, 8:45 a.m.